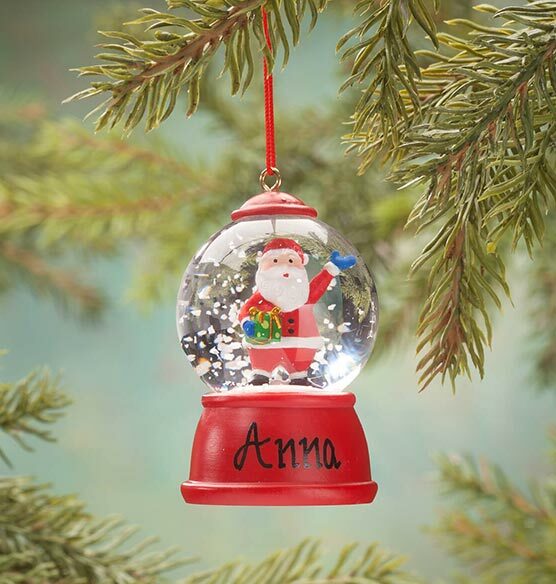 This personalized Santa waterglobe ornament delivers a white Christmas—simply shake for a flurry of glistening snow! 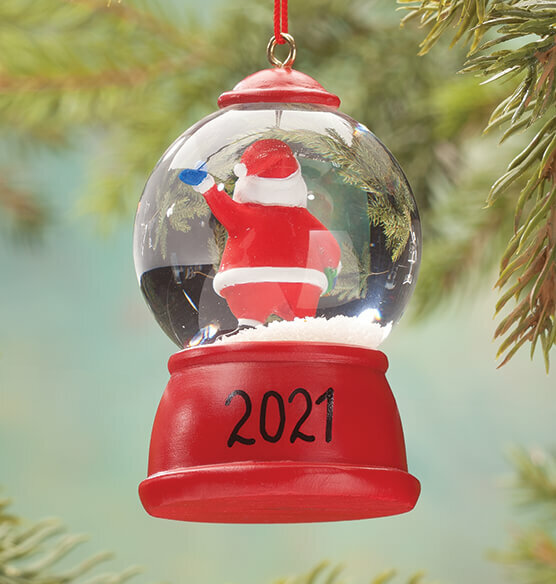 Decorating your tree in custom style, our exclusive Christmas ornament is a real working waterglobe, sure to shake up holiday magic for many years to come. We'll personalize, creating a dated keepsake treasure. Specify name; limit 1 line, 8 letters/spaces. Specify year; limit 4 characters. Resin, glass with red hanging cord. Personalized ornament measures 1 5/8" wide x 3" high.